"What God Has Joined Together"
San Francisco publicist, Jackie Wright of Wright Enterprises, shares a glimpse into her "salt of the earth" parents, that she says exemplifies the millions of families. who work to make the U.S.A. great, yet the stories of their lives and contributions are often overlooked. 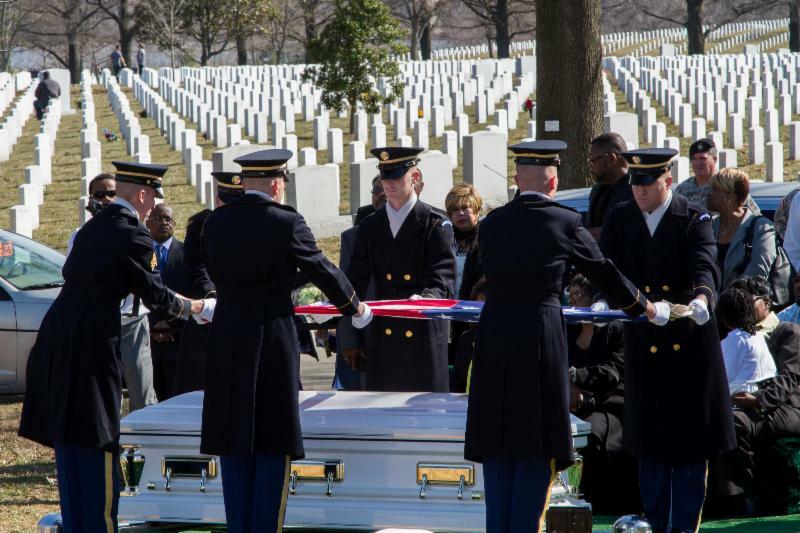 After 50 and 44 years respectively, Wright and her siblings had their parents exhumed from different cemeteries in two different states to have them rejoined at Arlington National Cemetery as its 150th Anniversary is to be celebrated, fulfilling the biblical mandate to "Honor Thy Father and Mother." June 21, 2015: "Fathers Are Forever! Happy Father's Day in Vietnam"
"Love Separated in Life...Love Reunited in Honor"
"He turned my mourning into dancing," from Psalm 30 befits the joy brought to March for the Wright Family. History, the stories of our lives are not always about the Iconic figures of the day. The history of Civil Rights in the U.S. can be found among us, if we just turn the pages of our family albums. For most, the pain of the loss of loved ones is so great that they look away and never look back. For our family, fifty years after the death of our father, Sp5 Wyley Wright Jr., in Viet Nam on March 9, 1964 as he accepted an extra mission as Honor Guard for Secretary of Defense Robert S. McNamara, two weeks from coming home with his new orders for Fort Hamilton, New York, we who rarely talked about the loss over the years had to look back. After the 2012 Simmons Family Reunion July 4th Weekend in Jacksonville, Fl., we were compelled to look deep and long, when we saw the graveyard where he lay was deteriorating and the realization set in that it was segregated. There's no way we could leave our father in a deteriorating cemetery, a segregated one at that, when he gave his all to his country. 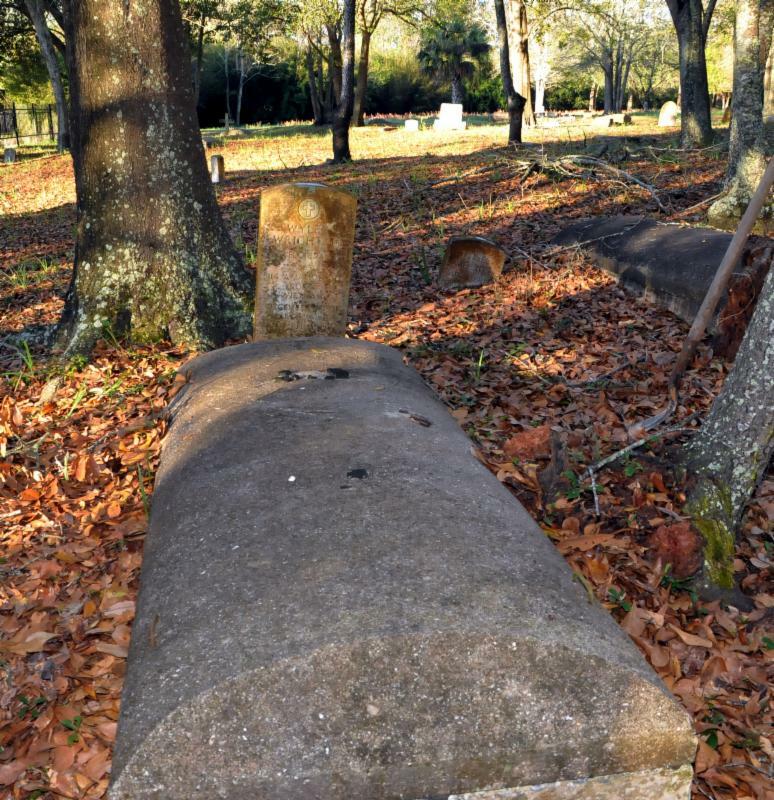 The City of Jacksonville had not kept its promise over the years to upkeep the cemeteries in North Jacksonville. As we found out that wives could also be buried in Arlington, we thought it appropriate that Ouida Fay McLendon Wright be buried with him, as she was the love of his life, who followed him to each post she could starting at Fort Benning, GA to Wildflecken, near Wertheim, Germany, to Holloman Air Force Base, New Mexico, and to his last station, Fort Knox, Kentucky, home of the 114th Aviation Company. 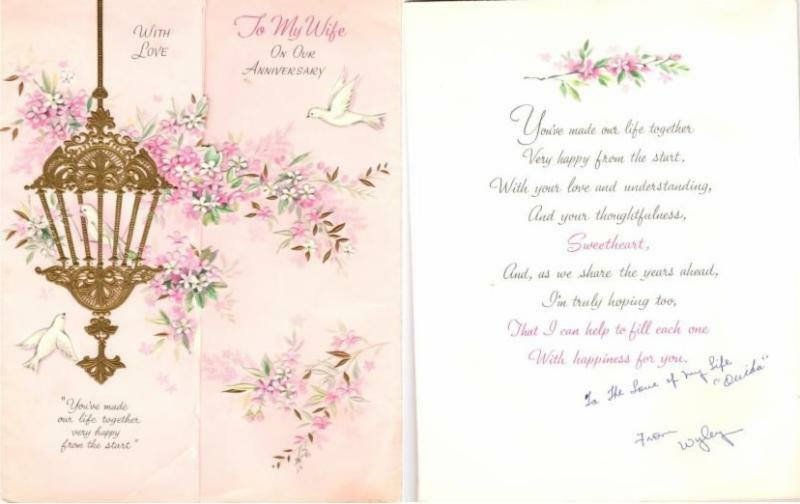 Sp5 Wyley Wright took time from war to declare his ongoing love for his wife Ouida Fay, sending his last anniversary card for the January 17, 1964 celebration. Subdivision of Columbus, GA, created her own history as she hired one of a very few Black contractors in the '60's, Ed Stovall, to build our home of Tennessee stone. We believe she would have been proud of the economic impact we made by hiring Black companies for the most part and those that had a significant Black staff as we honored her and her loving husband "Wright" as she dearly called him. Their teachings of respect for all people and not to take "no" for an answer, obviously stuck with us as we had just over a thirty day notice to bring to fruition their reburial at one of the most sacred grounds in the world, Arlington National Cemetery. One Bay Area media outlet,to date, carried our story. Producer Sandra Firpo of KGO Radio thought the story of merit and by coincidence or providence called just as we had not only disinterred, but also viewed my father. Thank you, Sandra for considering our story among the myriad you are confronted with daily. It was an emotional moment. My sister, Phyllis Wright Cameron of Antioch, an insurance executive, was knowingly in the presence of our Dad for the first time as she was six months old when he died. He only saw pictures of her and never got the opportunity to hold his baby girl. 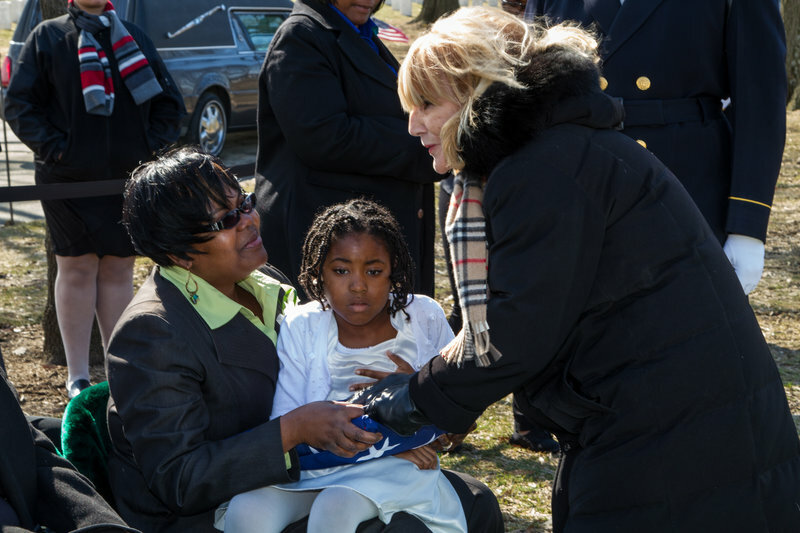 With Phyllis' demand to remove the burial wrapping and to see our father, we witnessed his remains that included his signature gold tooth and gold crown that always shined in the light with his laughter as I remember. There was an obvious ritualistic pinning of the army blankets he was wrapped in and there were two dog tags with his name, serial number that I recalled began with RA, his blood type O and his religion, Methodist. Jacksonville photographer and Viet Nam Veteran, Ronald Breaker told us one was intended for the family and one was to stay with the body. "It's one of the old ones. It's got the dent in it. They say from pushing it up against the teeth after a soldier dies," Mr. Breaker, whispered to us. After fifty years, we finally got the memorial that was intended for us, something we did not know existed. Seeing our father's remains laid to rest the question as to whether his body had actually been recovered. For our 50 years that was a question in the back of the mind for my brothers Joe Wright of Columbus, Georgia, Stanley Wright of Orangeburg, SC and me. As kids, we all heard whispers at the funeral that the military just weighs down the casket to make it seem like a body is inside. There was no doubt now. One of the owners of Green Acres Cemetery asked me, why media had been notified. As I mentally waded through the many negative stories of the day in Columbus, GA and many were about the Black community, I replied because you very seldom see the picture of "salt of the earth" Black people. Millions of them who make contributions to this country raising their families as best they can and enriching this nation daily are not seen in media. I also gave a quick synopsis of U.C.L.A. Law Professor, Dr. Jerry Kang's, "Trojan Horses of Race,".... If all you see is the negative side of a community that is all you will believe about them and it translates into distortion that effects economics, quality of life, self esteem, and it gives some license to justify their racist and prejudice actions. 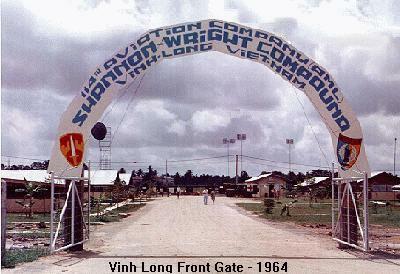 History Story, it is Vietnamese History (Vinh Long, South Vietnam army base was named "Shannon Wright"), it's a Military History story, and it's a Love Story... There are so many elements. The day Sp5 Wyley Wright Jr. and PFC John Francis Shea (a volunteer gunner from the 56oth Military Police Unit) died, Vietnamese fisherman helped point out the oil slick of the downed helicopter. A Latino Helicopter Pilot, Captain Emilio Zamora, (a rare position for a Latino in the '60's) hovered over the location allowing photos of the accident, and Vietnamese diver Tran Van Tham helped the U.S. Navy recover the wreckage. A book about the "Knights of the Air" described the scene. retrieve the half of the dog tags that was supposed to be ours, we found the treasure of people including George Moll, who was a 19-year-old Southerner from Houston, who served with our Dad as a gunner from August of 1963 to January of 1963. A fifty-year dream come true for me to meet someone who knew my father. "Everyone wanted to ride in Wyley's helicopters because they were so well-maintained. He was a perfectionist," Moll told us at the memorial service. "If I had taken half the advice Wyley gave me back then, I'd be a better man than I am today," he added. With just a two week notice George Moll and wife Diana pressed through fifty years of time to tell us our Dad was a "soldiers' soldier." The value of the gift Moll's message to us was increased as Diana said in the mid 90's George was a deliberate target by two paroled felons who had been in jail for attempted murder, but who wanted to get the perverse badge of killing someone. They feigned having car trouble. Got the police to call a tow truck. When George arrived, no police at hand, the two beat him up, slit his throat and left him for dead. 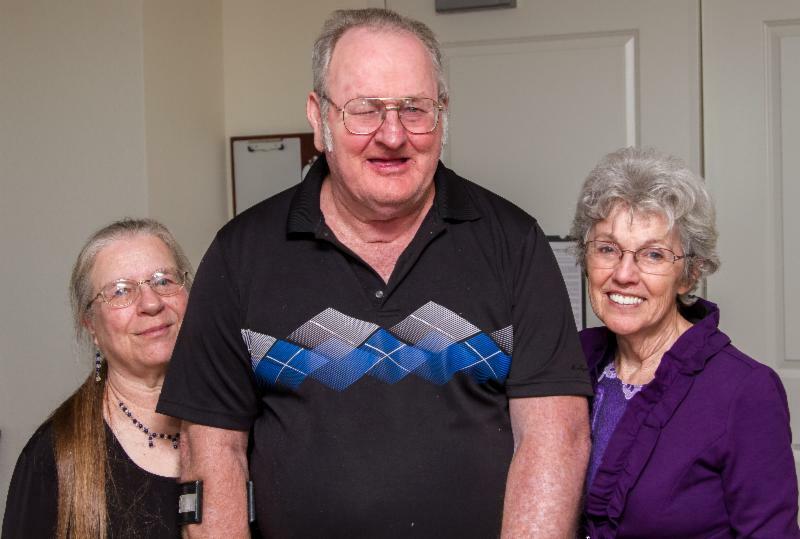 Blind in one eye, walking with a cane and sometimes using a wheel chair and having his speech affected, George Moll traveled through time and the challenges of life to give four kids affirmation about their father. What do you do with such a humbling gift? May God give us wisdom to honor such a gift that came out of the kiln of devotion of Viet Nam War Veterans. And the gifts don't stop there, the widow of Lieutenant Kenneth A. Shannon, a 25 year old pilot whose helicopter was shot down five days after arriving in Viet Nam, Ginger Shannon Young, now of Lynchburg, VA, also with little notice came to help us honor our parents. Ginger, "the hugger" as she says of herself, was quite the delight as she brought us joy in the midst of the reality of both our losses. Just five days after encouraging us, "Miss Ginger" went to visit her first husband's grave and the Viet Nam War Memorial. I knew her daughter Laura Shannon McDaniel and two of her grandsons would be joining her, but due to training and possibly preparing for the Ukraine situation, her grandson who is a Marine PFC did not make it. By Commanding Officer George J. Young Courtesy of 114th Aviation Co. Website. Ginger Shannon Young met Commander Young 31 years after first husband's death and married Young 7 years later. LTC Ret. Young died May 9, 2003 in San Antonio, TX. (Compassionate Letter Written to Ouida F. Wright by CO Young). six years old when mother died March 9, 1970. We had no idea growing up that our father was honored with Lieutenant Shannon by having a banner bearing his name over the archway of the Vinh Long camp...nor had we recognized that Lieutenant Shannon's name was near our Dad's on "The Wall." We touch each other's lives in many ways. If we'd only take time to talk and share our families' albums, we would probably see each other and maybe just maybe, we would not allow ourselves to be caught up so quickly in the winds of war. As the Ukraine-Russia crisis heightens, maybe it would be good for all of us to consider Marvin Gaye's "What's Going On and Edwin Starr's "War!" Hopefully the music will calm the savage souls. 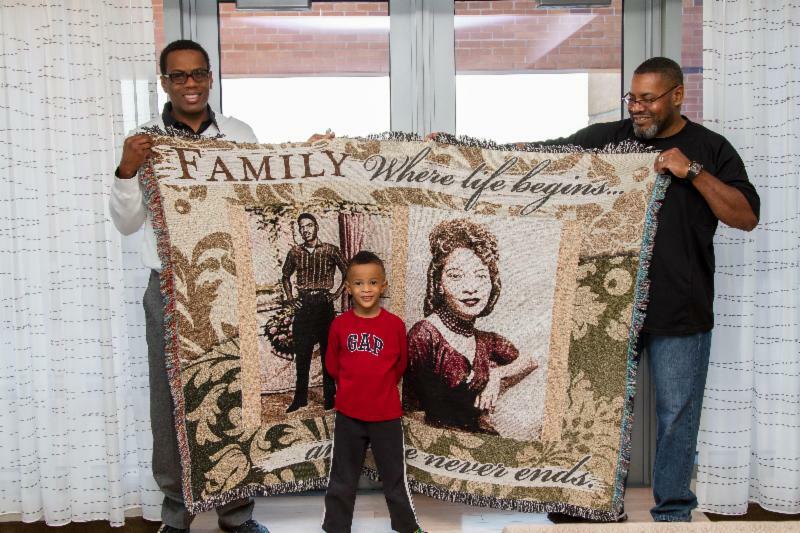 Grand son-in-law Carlos Mitchell and son-in-law Woodrow Cameron hold tribute from Greene Funeral Home of Alexandria, VA that reads "Family, Where life begins ...and love never ends," as great grandson stands in front of the tapestry. 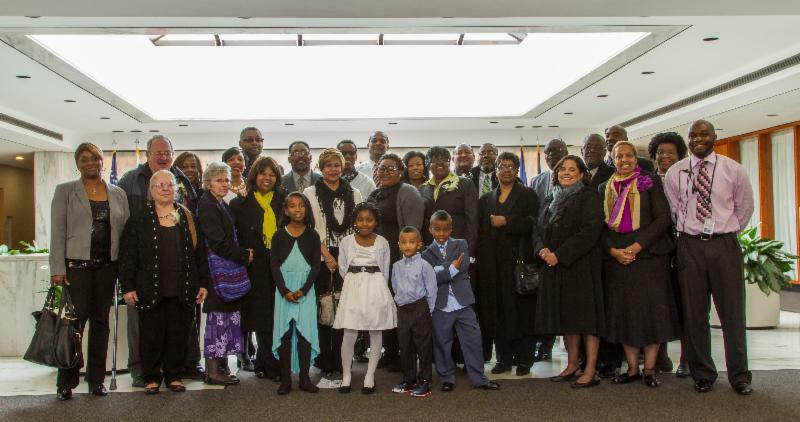 The children of Sp5 Wyley Wright Jr. and Ouida Fay McLendon Wright express their deep heartfelt thanks for your presence at the Memorial Commemoration of the 50th and 44thAnniversaries of their parents' passage into eternity. Through faith in our Lord and Savior Jesus Christ, with the help of friends and family, we stand to see this basic command of God "Honor Thy Father and Thy Mother," fulfilled. "To God Be the Glory," for without Him we can do nothing! Thanks to all who are present here and those present in spirit. God bless you with His best always! 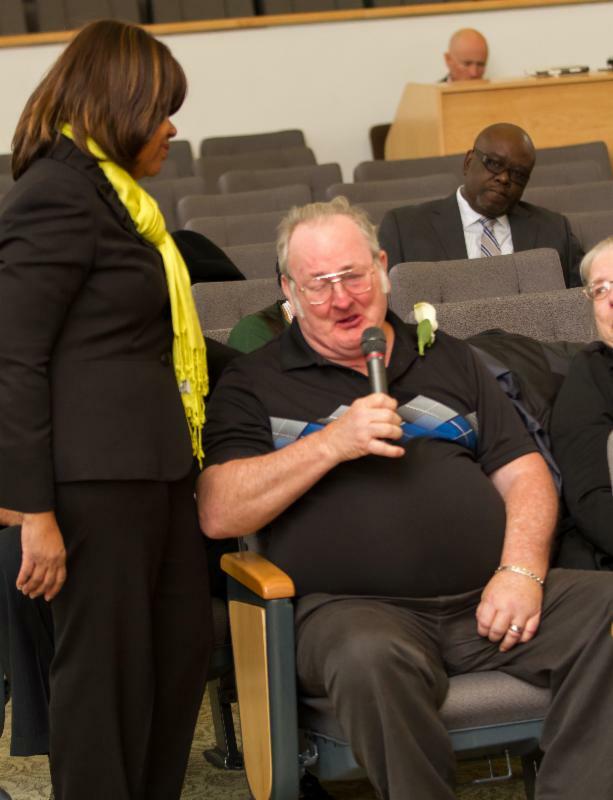 Love Separated in Life...Love Reunited in Honor--Sp5 Wyley Wright and wife, Ouida F. Wright honored at Arlington after 50 and 44 years of death.